As a geek, the concept of EMP has always been a cool one for me. 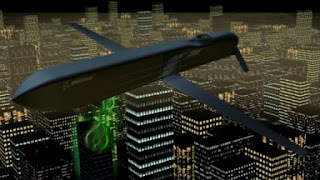 An “Electromagnetic Pulse” or EMP destroys electrical systems, magnetic media (hard drives, jump drives, basically all storage) as well as electrical power, Internet connections, etc. The biggest fear has always been a nuclear explosion which, in addition to the human destruction, also generates a massive EMP. 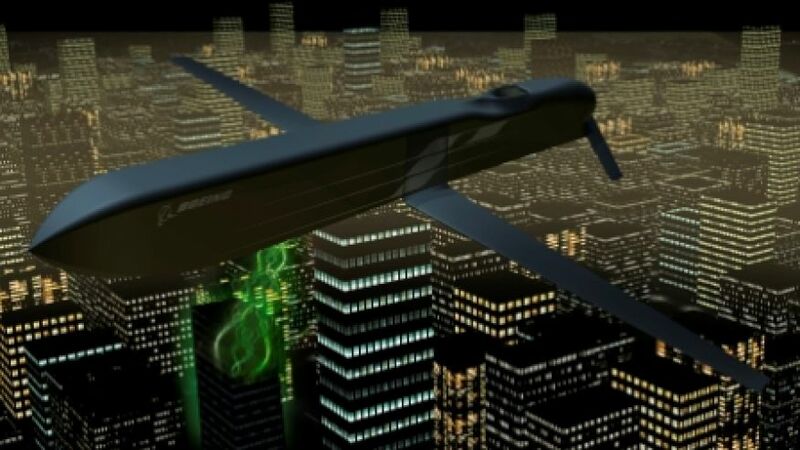 However, now Boeing has developed a missile-type weapon that can specifically deliver an EMP to a targeted building, leaving the surrounding infrastructure and systems intact. I remember in the Gulf War that one of the first smart bombs dropped was on a large building housing Saddam Hussein’s telephone control systems. The building was obliterated and I’m sure there was a serious loss of life. Now, a weapon could be fired at command & control buildings while leaving the surrounding area and people unscathed. An update/correction from an earlier post. For this edition of the popular mini-book series, Patti partnered again with insurance coding authority Christine Taxin, and with another qualified coding and Medicare expert, Jan Palmer to provide dentists with an easy-to-follow primer on how to make informed Medicare decisions that will benefit their patients and practices alike. “The time is now for dentists to get smart about Medicare,” says DiGangi. She further states that the new Centers for Medicare and Medicaid Services (CMS) ruling that goes into effect on January 1, 2016 will impact many older patients if their dentists prescribe medication, perform biopsies that require pathology tests, or simply refer their Medicare-eligible patients to a specialist. DiGangi warns that the Medicaid opt-out clause can be particularly confusing and may have a devastating financial impact if not fully-understood. For example, the Centers for Medicare and Medicaid Services published a final rule in May 2014 that requires all physicians and eligible professionals—including dentists—who prescribe Part D covered drugs to be enrolled in Medicare or opt-out for those prescriptions to be covered under Part D.
indirect Medicare payment for services provided to Medicare patients during that time. For more information about “What Dentists Need to Know about Medicare NOW’ including how to order, visit www.DentalCodeology.com. Follow DentalCodeology on Facebook. To inquire about bulk discount pricing for manufacturers, schools and associations, contact sales@DentalCodeology.com. Patti DiGangi is a vision driven-clinician helping people see their future of choice and ways to make it profitable. Patti holds a publishing and speaking license with the American Dental Association for Current Dental Terminology © 2015 and SNODENT diagnostic coding. She is an American Dental Association Evidence Based Champion. Christine Taxin has extensive training and experience in both dental and medical coding based on her roles as the administrator of a critical care department at Mt. Sinai Hospital and management of a comprehensive multi-specialty dental practice. Jan Palmer trains dental offices in the administrative aspects and requirements of treating the medical condition obstructive sleep apnea in the dental office with oral appliance therapy. Covering medical coding and billing, teaching to better understand the necessary office protocols to maintain Medical records and how to follow the mandated policies set forth by Medicare. Cute and cuddly… or creepy? That’s the question being asked by an article at Newsledge. It seems the Google gang has filed some patents on toys that may just communicate with us or our kids. Oh, and if you want the full article, which I think is definitely worth a read, click here. “The time is now for dentists to get smart about Medicare,” says DiGangi. She further states that the new Centers for Medicare and Medicaid Services (CMS) ruling that goes into effect on June 1, 2015 will impact many older patients if their dentists prescribe medication, perform biopsies that require pathology tests, or simply refer their Medicare-eligible patients to a specialist. Although this really shouldn’t come as a surprise to anyone, new info from a study on retired NFL players shows cognitive problems from repeated head trauma. This has become a bit of a passion of mine as one of my best friends is a retired NFL guy. Forbes has published the results and I really think it bears taking a look at the story. Scientists say a sea turtle injured by a boat propeller may soon be able to return to the ocean, thanks to a metal beak created with 3-D printing, BBC.com reported. Staff at the Research, Rescue and Rehabilitation center at Pamukkale University in Denizli, Turkey, nursed the injured 99-pound sea turtle back to health, but they realized the reptile would need a new beak if it was ever going to be self-sufficient at sea, as its jaws had been sheared off in the accident. According to the BBC, the rehabilitation center reached out to Turkish company BTech Innovation, which creates customized medical prosthetics and implants for humans, to see if they could do the same for the turtle. From the pic above, it looks like they did a pretty amazing job! VOCO introduces a Post Procedure kit that includes all matching materials used from the post cementation to the final core build-up. The kit includes 4 sizes of Rebilda Posts, dentin like flexible glass fiber posts with high radiopacity, high translucency and excellent light conductivity with matching reamers and drills. The award winning dual-cured universal bond Futurabond U, can be used in the self-cured mode without any light. This is a great benefit in the root canal thus avoiding the pooling effect (the blocking of the canal due to cured adhesive). Special Endo Tim brushes allow easy application of the adhesive into the root canal. The kit promotes the Mono-Bloc Concept. Rebilda DC is used as a cement and core build-up material. This not only saves time, but furthermore creates one mono block from the root canal to the core build-up with the same excellent physical properties. The manufacturer claims that this concept leads to higher success rates. Rebilda DC flows well, but is still stackable and cuts like dentin. Endo Tims make the cement application into the root canal very easy. The Rebilda Post System kit has been developed with the input of many dentists. Their recommendations led to the inclusion of many procedure oriented application aids such as special brushes, tips and reamers. All materials match each other and take the guesswork out of the procedure leading to faster, more predictable and successful results. Tx STUDIOTM 5.4 features more powerful tools for complete implant, restorative planning and treatment, and airway analysis. Hatfield, PA (May 14, 2015) i-CAT, a brand of the KaVo Kerr Group, is pleased to release its new and enhanced Tx STUDIO 5.4 treatment planning software at the American Association of Orthodontists (AAO) Annual Session, San Francisco, CA. Fully integrated and exclusively for the award-winning family of i-CATTM cone beam 3D imaging products, Tx STUDIO delivers a host of new and powerful treatment tools for dentists and specialists working with implants, airway, TMD, orthodontics, and surgical procedures. In addition to its already existing capabilities for accurate implant planning and extraordinary restorative planning capabilities, Tx STUDIO 5.4 also offers new and improved tools. Useful for treatment planning and patient communication, these new features include an enhanced abutment design that allows the crown to be placed onto the abutment and prepped teeth, as well as simulation of pontics and bridges. For airway analysis, more comprehensive and exclusive tools allow for 2D analysis of the airway with quantitative information on the anterior posterior distance and left and right distance. The airway can now be created and visualized in the variable quadrant. Changes in the parameters and area of the cross-sectional area along the airway are displayed graphically. • Other helpful tools now available with Tx STUDIO 5.4 offer the opportunity to: • Simulate a sinus bone graft in two clicks while gaining the approximate graft volume. • Create bitewing radiographs from 3D data and evaluate those bitewings in all three dimensions. • Replicate jaw articulation as well as offer control of the translation and rotation. • Provide 3D analysis using orthognathic advanced cuts and movement that also show tissue change in profile. “At i-CAT, we continually strive to create innovations to our products and software,” says Yena Chokshi, Product Manager for i-CAT. “The launch of Tx STUDIO 5.4 adds even more efficient planning and treatment tools to our already award-winning 3D imaging modality. As dentistry continues to evolve and offers more options to patients, these new tools show that we listen to our customers and respond to their increasing imaging needs.” Tx STUDIO treatment software is included with new i-CAT cone beam 3D scanners, giving general dentists and specialists the tools to place and restore implants, perform oral surgery, periodontics, prosthodontics, orthodontics, utilize CAD/CAM applications, and analyze TMJ and airway with greater confidence and lower radiation options. An impactful “Their Story” will be presented at the 2015 Annual Session of the American Association of Orthodontists. Dr. Carlson and patient Natalie will be onsite to discuss details of the case along with providing an opportunity to also help man’s best friend. Hatfield, PA (May 11, 2015) i-CATTM a brand of the KaVo Kerr Group, will exhibit at the 2015 AAO Annual Session, May 15-19, 2015 at the Moscone Center in San Francisco, CA. Unique to this meeting and as part of the company’s “Their Story” campaign launched in November 2014, i-CAT will introduce the latest “Their Story” featuring Dr. Sean Carlson and his patient, Natalie. This growing collection of stories illustrates how doctors are using i-CAT imaging to help better patients’ lives every day. In Natalie’s case of transmigratory impacted canines in the mandibular jaw, information from the i-CAT scan helped Dr. Carlson formulate a treatment that allowed Natalie to save her canines and thus retain her full complement of teeth. can get their photos taken with some great little canines that will be on site to promote pet care awareness. AAO attendees are encouraged to meet and greet with Dr. Carlson and Natalie, take pictures with Milo Foundation dogs and participate in the other activities in the i-CAT booth No. 2037. The Milo Foundation rescues adoptable dogs and cats of all ages, sizes, and breeds from high-kill shelters throughout California. Since its founding at its no-kill Sanctuary in 1994, Milo has saved the lives of more than 25,000 animals. Milo has an Intake and Adoption Center near San Francisco in Point Richmond, CA and its 283-acre Sanctuary three hours north in Mendocino County. A community of volunteers and foster homes plays a key role in helping the animals find loving homes. For more information please visit www.milofoundation.org. eDex service ehancements, which allows easier access to patient information by enabling business and personal contacts to be merged and accessible on a single platform. New “click to chat” button in the Help menu so customers can receive real-time answers to their questions from the Dentrix support team. Split Payment by Family Member feature, which was a popular request. Medical Alert Notes, which simplifies selecting medical conditions and adding notes, with datelines and spell check. One-click access to Dentrix Marketplace, an online store for everything Dentrix, including Dentrix Connected apps. You can see video demos of these new features at: www.Dentrix.com/G6. Dentrix customers with an active Dentrix Customer Service Plan can upgrade to Dentrix G6 at no cost. Customers who do not have an active plan may call 1.800.336.8749 or visit www.Dentrix.com/CSP to enroll and qualify for the upgrade. As a drone owner and tinkerer, I’ve always loved the freedom that comes with flying. Even if I’m not up there with it, the exhilaration I get when flying drones is almost beyond compare. It’s fun, safe (with the proper precautions), and shouldn’t intrude on anyone else. So far regulation of drones has been pretty minimal and that’s been because drone owners have been respectful and careful. That is, until lately. Now it seems that more nefarious things are occurring in the drone world. Recently a billboard in downtown Manhattan, NY was defaced by graffiti artist and vandal KATSU. The feat was done to prove a point… that a drone, altered to hold a spray paint can with the nozzle depressed by some type of actuator, could be used to tag something that was previously unreachable. The problem this presents is for law abiding drone pilots like myself. I’m counting on increased legislation (control) over where, when, how, and who can fly these things all because some small number of rule breakers push the envelope. I’m hoping nothing comes of this that affects drones. I mean, it’s already illegal to deface a billboard and the “method” of defacing really shouldn’t be that important. However, since drone usage is so new, my fear is laws being passed that affect things that in the big picture aren’t all the necessary. Obviously, only time will tell on this one. However, with the concern over small aircraft and what they can do vs. how difficult they are to detect, there will probably be some laws coming along sooner as opposed to later. Dentists can use DEXcam 4 to educate patients on conditions and need for treatment and to help grow the practice. Hatfield, PA (April 30, 2015) As a leading provider of digital diagnostic imaging solutions, DEXIS, a brand of KaVo Kerr Group, announces the release of the DEXcam 4 intra-oral video camera designed for patient communication and case documentation. This new easy-to-use camera includes a higher resolution sensor, dual capture buttons, one-touch focus, and a detachable cord —all contained within an aluminum housing. DEXcam 4 seamlessly integrates with DEXIS™ imaging software. To learn more about how DEXcam 4 can help you help your patients, call 888-883-3947 or visit http://www.dexis.com/dexcam4. DEXIS is a member of the KaVo Kerr Group. KaVo Kerr Group is a global portfolio of leading dental brands that share common values of Trust, Experience, Choices, Quality and Smart Innovation. Brands include KaVo™, Kerr™, Kerr Total Care™, Pentron™, Axis|Sybron™ Endo, Orascoptic™, Pelton & Crane™, Marus™, Gendex™, DEXIS™, Instrumentarium™, SOREDEX™, i-CAT™, NOMAD™, Implant Direct™ and Ormco™. With over 500 years of combined experience and proven solutions, KaVo Kerr Group uniquely serves 99% of all dental practices. Visit www.kavokerrgroup.com for more information. I’m all for protecting the dentition when participating in sports. We make a lot of mouthguards every year for the Lee’s Summit School District. I’ve been the consulting dentist for Lee’s Summit Sports Teams for over 20 years now and it’s a lot of fun and rewarding knowing I’m protecting the the teeth, face, and helping to reduce concussions. In fact, I make mouthguard for those playing varsity sports in the LS school district free of charge. I do it because I think it’s the right thing to do and because I know it helps kids that might not be able to afford a high quality mouthguard. Now comes word from Las Vegas that Floyd Mayweather is wearing a mouthguard that few people could afford. His custom made mouthguard contain parts of $100 bills, gold flake, diamond dust, pretty much anything that has “value” that can be put into it. The cost? Only a cool $25,000. That’s not a typo, it’s 25 THOUSAND for one. The TMT logo that can be seen in many of these is for the organization surrounding Mayweather that he calls “The Money Team”. The photo above, courtesy of TMZ.com shows a few of the high priced protectors. You can also order these for yourself for a cost of $250. I’m guessing that’s probably sans the precious metal & gems. More info can be found on the Sports Illustrated website where they even have a video detailing the story.